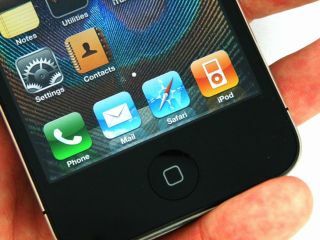 , are dwarfing other handsets in terms of web traffic in the UK. Just as they proved top for connected apps, Apple's iDevices are used to access the mobile web in the UK far more than Android and other equivalents. In the tablet sphere, the iPad accounts for 21.3 per cent of mobile web traffic, while Android tablets, which are arguably yet to take off in the UK, prove a weak contender with just 0.3 per cent. The iPhone takes the lion's share of the UK's mobile web traffic, providing 29.9 per cent of the computerless mobile traffic; that's twice the amount that Android does (15 per cent). It's a ratio that's echoed around the globe, with the iPad and iPhone dwarfing mobile web traffic of Android and other devices in Canada, France and Japan, among other countries. But, while the iPad is proving the most web-connected tablet in the US, in the smartphone space Android accounts for 35.6 per cent of non-computer web traffic as opposed to the iPhone's 23.5 per cent.